Tech giant Google has inducted Bangladesh's name in its merchant account, paving way for country's android-based application developers to sell their products on Google Play, official app store for the android operating system. "Though we have been using Google Play for long in the country, Bangladeshi application developers had no scope for selling their products on this global platform. Last night, Bangladesh's name has been included in 'Location for Developer and Merchant Registration' department of Google support centre," ICT division spokesperson Md Abu Nasher told BSS today. 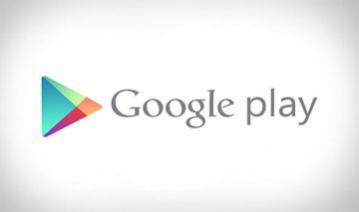 A as a result, Bangladeshi app developers will be able to sell their products on Google Play, he added. Expressing delight over the recent development, State Minister for ICT Division Zunaid Ahmed Palak said through inclusion of Bangladesh's name in the Google merchant account, a long-standing demand of country's mobile application developers has been fulfilled. "We held a meeting last year with Google officials in the US. One of our agendas in that meeting was to allow Bangladeshi developers to open merchant account with Google, so that they can in-application payment and publish paid-application," he said. "Even in last month, we held a meeting with senior officials of Google and I again placed the demand before them. Now our demand has been fulfilled and I would like to thank Google authorities and all officials concerned in this regard," Palak added. The state minister said this recent facility will surely open a new window of opportunity before our mobile application developers.